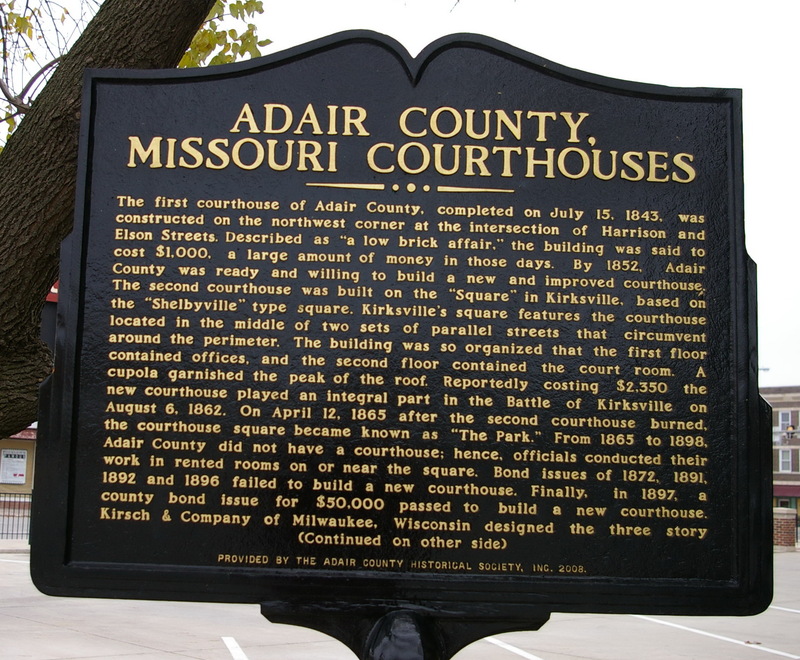 Adair County is named for John Adair, who was a pioneer, soldier and the seventh Governor of Kentucky. 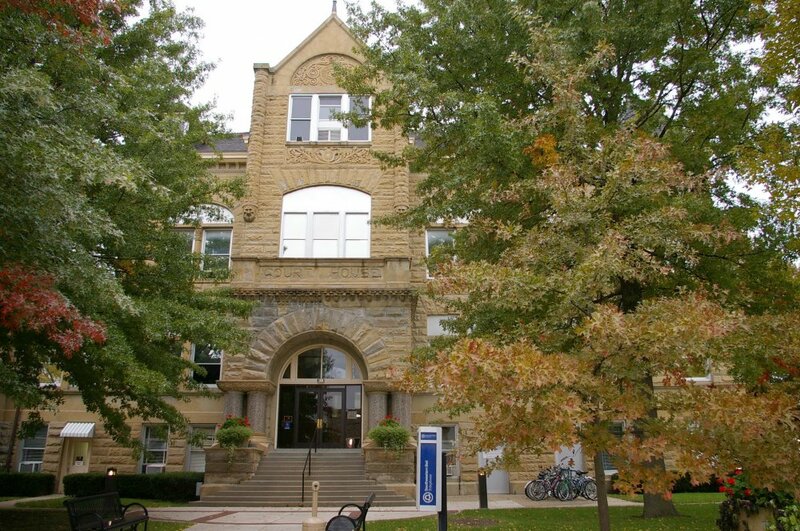 Description: The building faces north and is a three story Ohio blue sandstone structure. 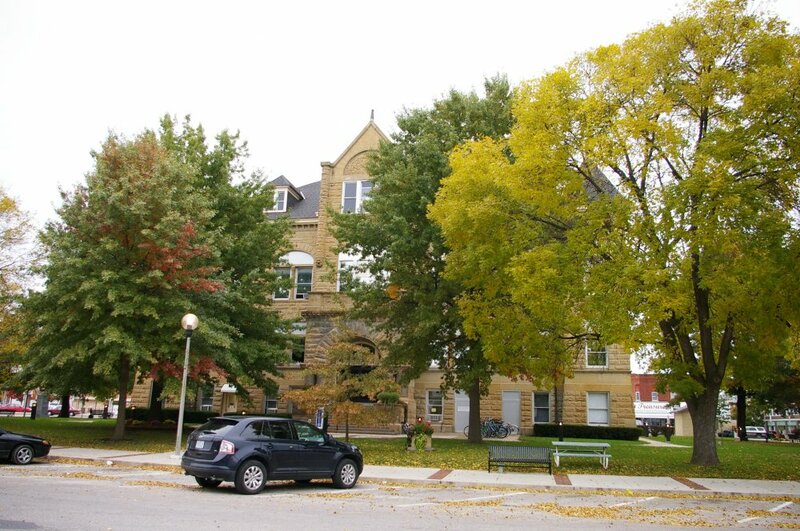 The rectangular building is 112 by 85 feet. 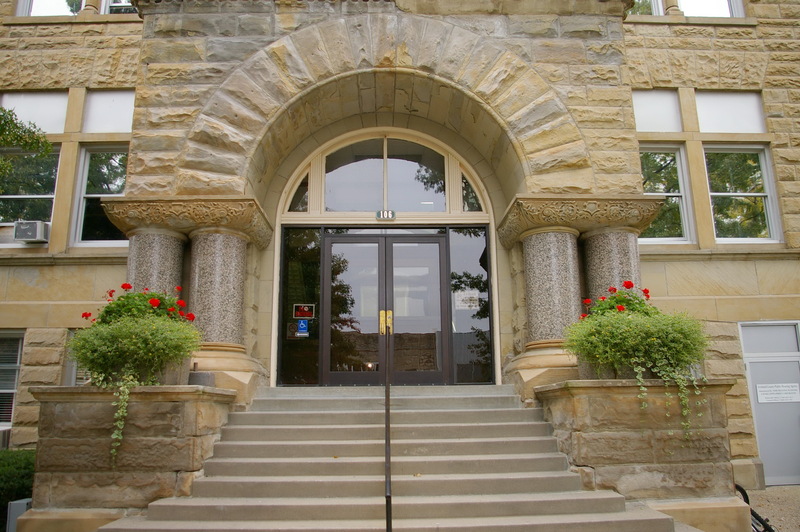 The four sides have small porticos with arched entrance with granite columns and small balcony above. 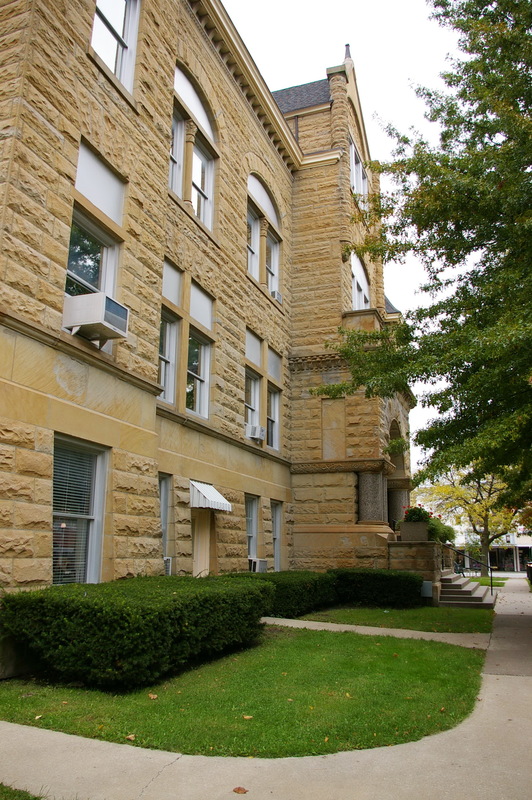 The foundation is Quincy limestone. Granolithic and tile floors are supported by a steel and concrete foundation. Metal stairways have birch handrails. There was a copper cornice and a slate roof. Each corner has a large square stone tower with peaked roof. 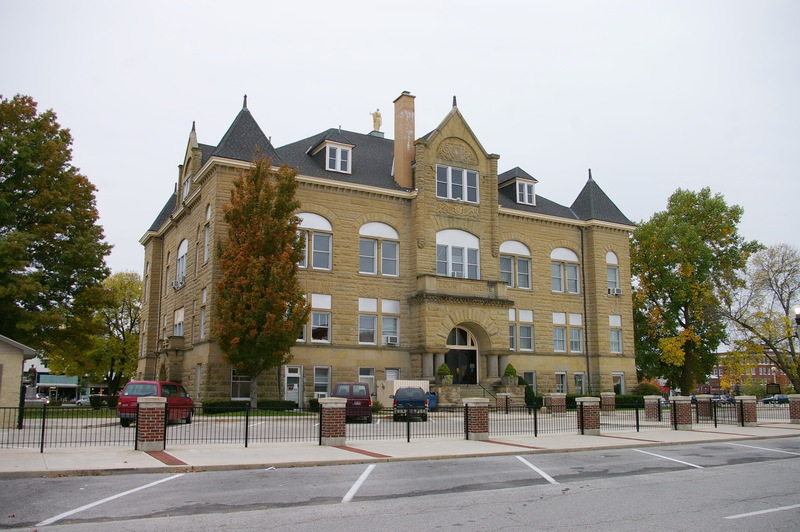 There are dormers on the roof. 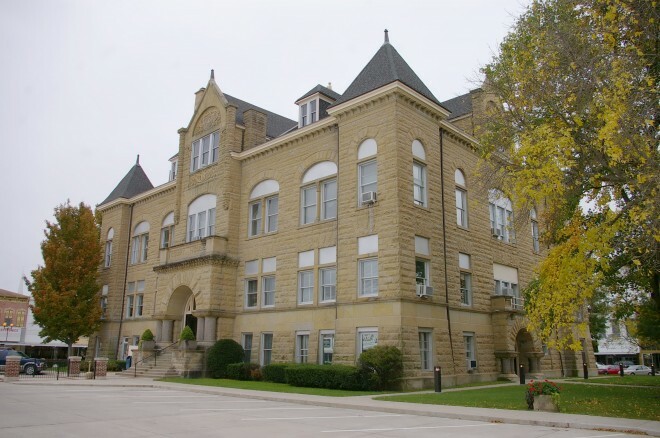 See: The architect, Robert G Kirsch designed courthouses in Carroll County, Cooper County, Polk County and Vernon County. 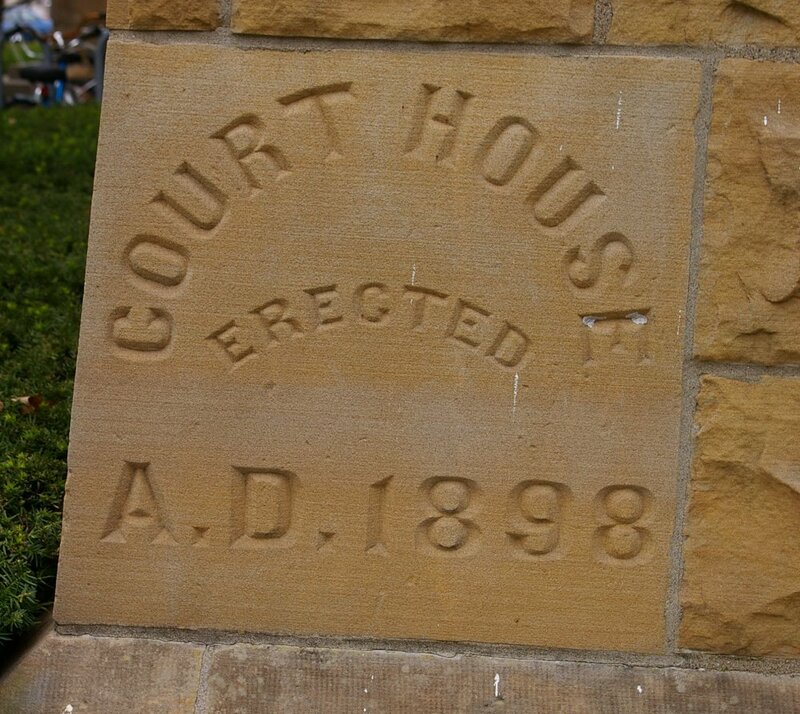 Note: The first courthouse was built by John B Earhart and John D Callison, a carpenter, in 1843. 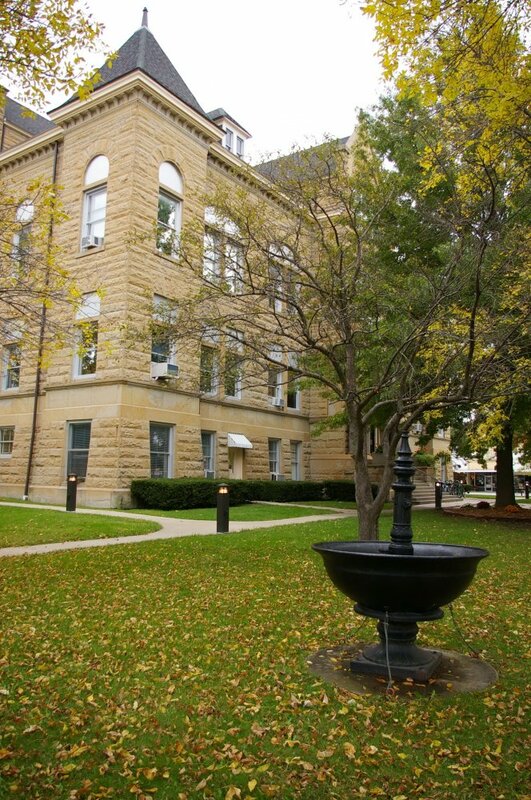 The second courthouse was built by Galyon and Douglass in 1853 using the plans for the Knox County courthouse. 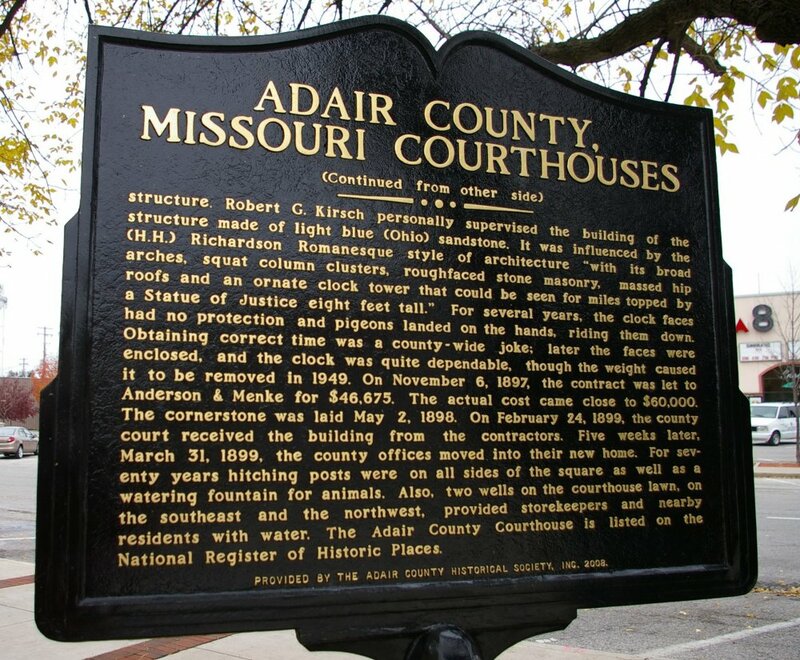 The building was destroyed by fire in 1865 and the county had no courthouse for the next 30 years. The present courthouse was constructed at a cost of $46,695.